It is widely agreed that because animals feel pain we should not make them suffer gratuitously. 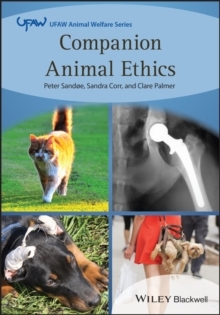 Some ethical theories go even further: because of the capacities that they possess, animals have the right not to be harmed or killed. These views concern what not to do to animals, but we also face questions about when we should, and should not, assist animals that are hungry or distressed. Should we feed a starving stray kitten? And if so, does this commit us, if we are to be consistent, to feeding wild animals during a hard winter? 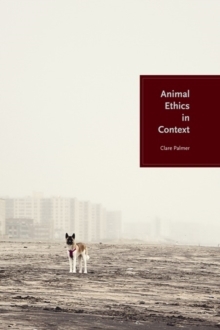 In this controversial book, Clare Palmer advances a theory that claims, with respect to assisting animals, that what is owed to one is not necessarily owed to all, even if animals share similar psychological capacities. 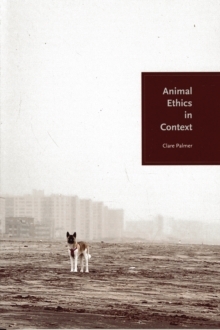 Context, history, and relation can be critical ethical factors. If animals live independently in the wild, their fate is not any of our moral business. Yet if humans create dependent animals, or destroy their habitats, we may have a responsibility to assist them. Such arguments are familiar in human cases-we think that parents have special obligations to their children, for example, or that some groups owe reparations to others. 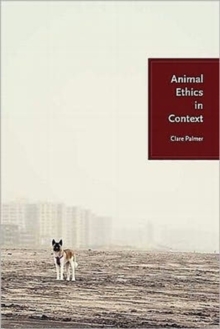 Palmer develops such relational concerns in the context of wild animals, domesticated animals, and urban scavengers, arguing that different contexts can create different moral relationships.